Problem: how to ensure your wedding photographer has a personality for success on your wedding day. Solution: Meet with potential photographers face to face and assess their personality on key characteristics detailed below. You need to like your wedding photographer! This doesn’t mean you have to be their best friend, but you need to like the way they handle themselves, how they interact with people, and their attitude before you unleash them on your dearest friends and family. Your wedding vendors represent you on your wedding day, and reflect your taste to your guests. The photographer is one of the most visible vendors on your day and they’ll be spending a lot of time with you and your guests, so you should care about the way they are representing you. The photographer is also one of the most pivotal vendors at your wedding, and if they get flustered, lose their cool, or freak out, it could be disastrous. Personality is a complicated trait to consider, but beyond generally being nice and a pleasure to be around, there are two key characteristics to seek out that will ensure you have a great experience with your wedding photographer: professionalism and leadership. 1. Professionalism: There is no better way to represent yourself to your guests than by hiring professionals who conduct themselves in a tasteful manner no matter what may happen on your wedding day. Hiring a professional should give you peace of mind and let you relax and enjoy your day. You’ll be in good hands with wedding pros in your corner. But how can you judge the professionalism of a prospective photographer? Professionalism is about habit. It’s about always following best practices. Send your photographer an email and see how long it takes for them to reply. Professionals usually reply very quickly, almost always within 24 hours. If your photographer is repeatedly slow to reply to emails, then their professionalism may be lacking. Meet with your photographer and assess their punctuality, preparedness, dress code, and demeanor. Ask them tough questions and see how they handle the pressure. Professionals never crack under pressure. 2. Leadership: No matter how hard you plan there are going to be times throughout the day where your photographer will have to take control of a situation to ensure that you get the wedding photos that will be worthy of your first family heirloom. It may be an unruly guest, a wardrobe malfunction, or a pushy church attendant. You never know what may happen on your wedding day and you want your vendors to be able to lead the way out of any chaos that breaks out. 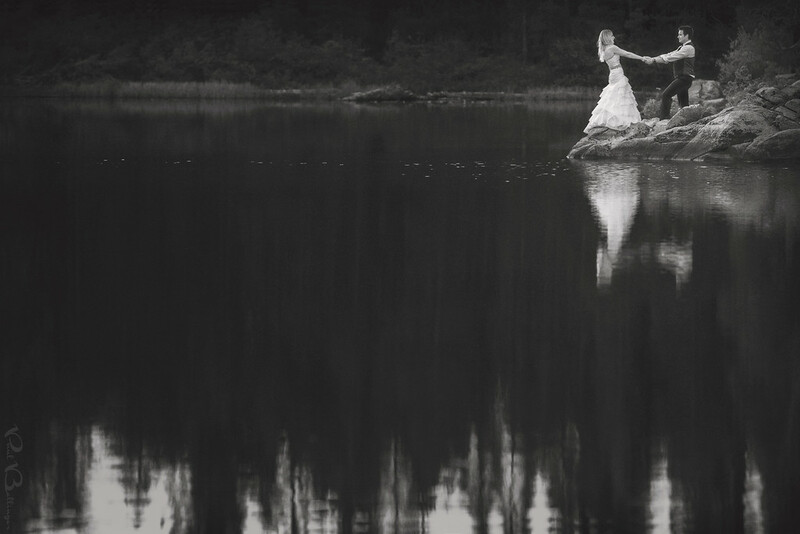 But does your wedding photographer have the ability to be decisive, take control, and be a leader? This seems like a difficult question to answer, but it’s usually apparent when you meet someone face to face. Are they outgoing? Are they passionate and opinionated about their area of expertise? Do they have a voice or presence that could be commanding if necessary? A shy, quiet photographer may be a great artist, and exactly the type of person you’d like to hang out with or have a portrait session with. But if you can’t envision them being a leader during crucial, chaotic moments, then they are probably not your best choice as a wedding photographer. Just to be clear, I don’t want anyone to think that I’m saying you need a man with a loud voice. The woman who taught me how to be a leader as a wedding photographer doesn’t have an especially loud voice. But her presence is commanding because she’s a leader. People listen when she speaks, just as they do for women leaders in all disciplines. Key tip: You have to meet your wedding photographer face to face in order to assess their personality! You can learn a lot by noting their professional work habits, such as how quickly they return your call, but there is no substitute for a face to face meeting. If you are hiring a photographer from out of town and absolutely cannot meet them face to face, you should at least meet them on video chat using Skype or Google + hangout.